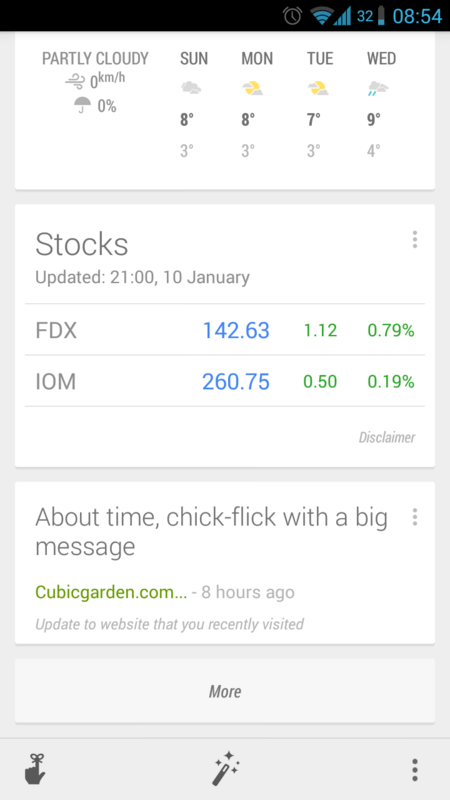 Simon showed me how my blog entry came up in his google now. I was very surprised because I didn’t even know you can get Google now to deliver notifications. How do you even set these up? Can I send people to a page to add this to their Google Now? It’s based on sites you read the most often, so Simon will get it because he reads your blog. Next Next post: The quality of OkCupid has gone down for me?